Neeraj Jain is Chief Executive for WaterAid India. NEW DELHI, Feb 24 2015 (IPS) - Prime Minister Narendra Modi’s call to action for a 100 percent Open Defecation Free (ODF) India by 2019 was announced as part of the Swachh Bharat Mission (SBM) or Clean India Campaign last year. With 60 percent of all those practising open defecation globally residing in India, this task is particularly crucial, yet also challenging. We need to think how we are going to engage and influence the behaviour of such a massive audience. It probably requires the most ambitious behaviour change campaign ever attempted in the history of any nation. Inadequate waste management leads to the contamination of water sources, contributing to diarrhoeal diseases that claim the lives of 186,000 children every single year. With nowhere safe to go to the toilet, women and girls are often put in a vulnerable position as they seek somewhere private to relieve themselves. A lack of adequate sanitation also has a substantial impact on economic development, with money repeatedly being lost due to workers being sick or taking time off to care for sick family members, not to mention the cost of medical treatment. So is the 2019 target actually achievable? It may sound like a tall order but we won’t know until we try. We need to look at the ways to make it work – implement this seemingly ambitious plan in an effective manner to make the target achievable. Not just admit defeat before we start. The recent pace of the activities under the SBM suggests that India would become clean by 2070. To achieve the target around 50,000 toilets need to be built every day, without compromising on quality. So it’s high time that we stop focussing on the problems and start discussing possible solutions. 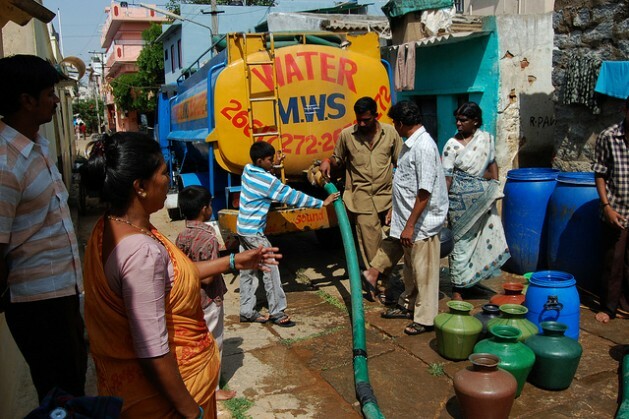 With this in mind, WaterAid India organised an India WASH Summit in New Delhi last week. It was the first of its kind and was aimed at devising solutions to India’s sanitation crisis and shaping future collaboration to achieve Swachh Bharat’s ambitious target of a toilet for every household by Oct. 2, 2019. This landmark event, organised in partnership with the Ministry of Drinking Water & Sanitation and Ministry of Urban Development, brought together the government, the private sector and civil society groups working to make clean India a reality. The summit concluded with the creation of a concrete set of recommendations to be shared with the government of India to help in the effective implementation of the SBM across a number of themes including behaviour, equity and inclusion, gender, water security, institutional transformation, technology, research, and convergence of nutrition, health and education. Collaboration emerged as a key theme at the summit, both within the sector as well as with organisations focussing on nutrition, health and education. Participants at the summit stressed the importance of capacity building and the need for effective monitoring. It was agreed that sanitation should be acknowledged as a basic human right. To ensure success in getting sanitation for all, programmes need to be equitable and inclusive and should include behaviour change at its core. Previous initiatives have taught us that just building toilets is not enough. To stimulate demand for toilets, hygiene education and collective initiatives are key. The overall budget of the programme (rural as well as urban) as estimated by the government is almost Rs. 3 lakh crores (50 billion dollars). I believe that answers to all hurdles identified above do exist but the entire WASH (water, sanitation and hygiene) sector need to come together to find the most suitable answers as well as the most effective ways to implement it, in record time. WaterAid has been working in the WASH sector in India since 1986 and is committed to supporting the government of India in realising the ambitious but much needed goal of making India open defecation free by Mahatma Gandhi’s 150th birth anniversary in October 2019.